Our favorite was an affordable, all-American classic. But we also loved a luxe model made of nylon. F&W tested popular rolling pins to find the best. After narrowing the field based on input from our favorite pro bakers, we put six rolling pins to the test. Our favorite was an affordable, American-made classic. We also loved rolling out cookies with an ultra-luxe (but pricey) nylon model. We also found an excellent tapered rolling pin. Read below to see how we tested, and what makes one pin better than another. You've made the dough. You've chilled the dough. Now all that's left to do is roll it out into a neat, even sheet. 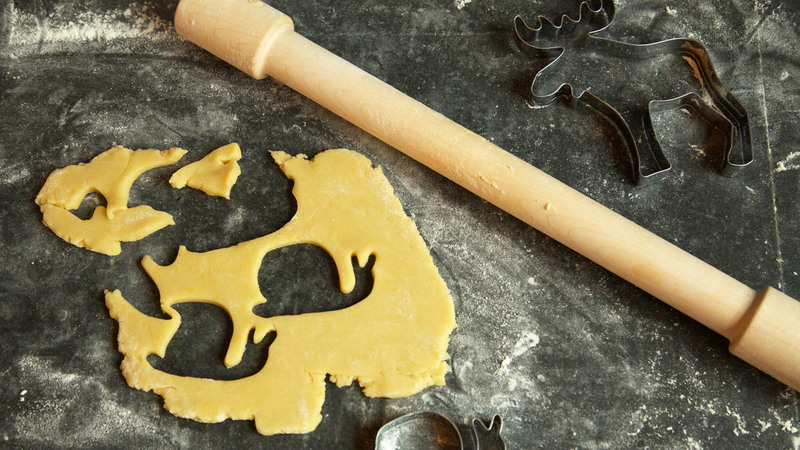 Sounds easy enough—but without a good rolling pin, the task might be more challenging than you think. Of course, in a bind (say, an underequipped vacation rental) you can always get the job done with an empty wine bottle or even a (clean!) broomstick handle. But if pie-, pastry-, or cookie-making is more than a once-a-year project, stocking your batterie de cuisine with the proper tool is more than worth the minimal investment. What sets apart a superior rolling pin? The basic device is so simple that small design tweaks can make a big difference. In general, a good pin should be weighty enough that it, not your biceps, is responsible for most of the flattening power; have a finish that discourages sticking and resists absorbing moisture that might taint or weaken dough; be long enough to generously manage big batches of cookie dough or sheets of delicate pastry; and feel balanced enough to yield an even dough surface that's free from problematic dips or divots. In search of a winner, we spent 18 hours in the kitchen with a half-dozen pins in a range of styles, rolling our way through piles of pie crusts and bowlfuls of sugar cookie dough. What did we learn? Steer clear of bells and whistles and don't feel like you have to spend a fortune. A simple, sturdy pin is all anyone needs—and properly cared for, should last through a lifetime of baking adventures. To narrow the field of contenders and zero in on the best multipurpose rolling pin, we went straight to the source: baking experts who put their trusty tools to use day-in and day-out. Among those generous enough to share their opinions were Dorie Greenspan, the beloved baking authority and award-winning author of more than a dozen cookbooks, including the recently-released Dorie's Cookies; Kate McDermott, the Seattle-based pie doyenne and author of The Art of the Pie; Joanne Chang, James Beard Award-winning pastry chef/owner of Flour Bakery + Cafe in Boston and Cambridge, Massachusetts and author of "Flour;" and Genevieve Ko, recipe-developer, culinary consultant, and author of Better Baking. We also scoured the web, taking notes from culinary and consumer sites including Cooks Illustrated, The Sweethome, the BBC, as well as user reviews on Amazon and conversations on forums like Chowhound and Real Baking with Rose Levy Berenbaum. 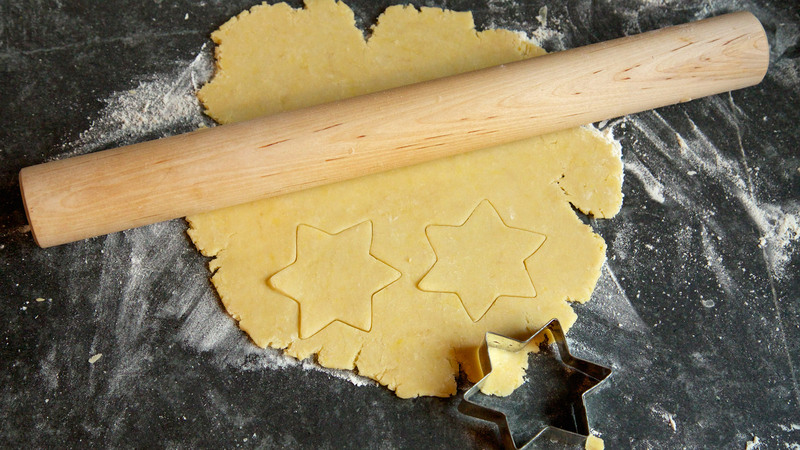 Most rolling pins fall into two basic camps. The iconic, handled style that probably comes to mind when most people think of the tool—the kind you might remember your grandmother using, or encounter frequently at flea markets and estate sales—is an American rolling pin (also sometimes called a baker's pin). Though typically made of a heavy, hardwood cylinder which spins between two handles, these days newfangled versions of American pins are available in all sorts of materials, from marble to stainless steel to silicone. The handles can take some of the effort out of the pressing and rolling action, especially for baker who are new or unused to the task, but they also keep your hands at a bit of a remove, making it harder to gauge the thickness of the dough. And their moving parts, with their nooks and crevices, can be a challenge to keep clean. Perhaps it's no surprise, then, that while American pins are frequently the style that bakers first encounter at home, all of our experts revealed that in their day to day work, they prefer to use handleless pins—otherwise known as French pins. French pins come in two types: straight (also called a dowel) and tapered. 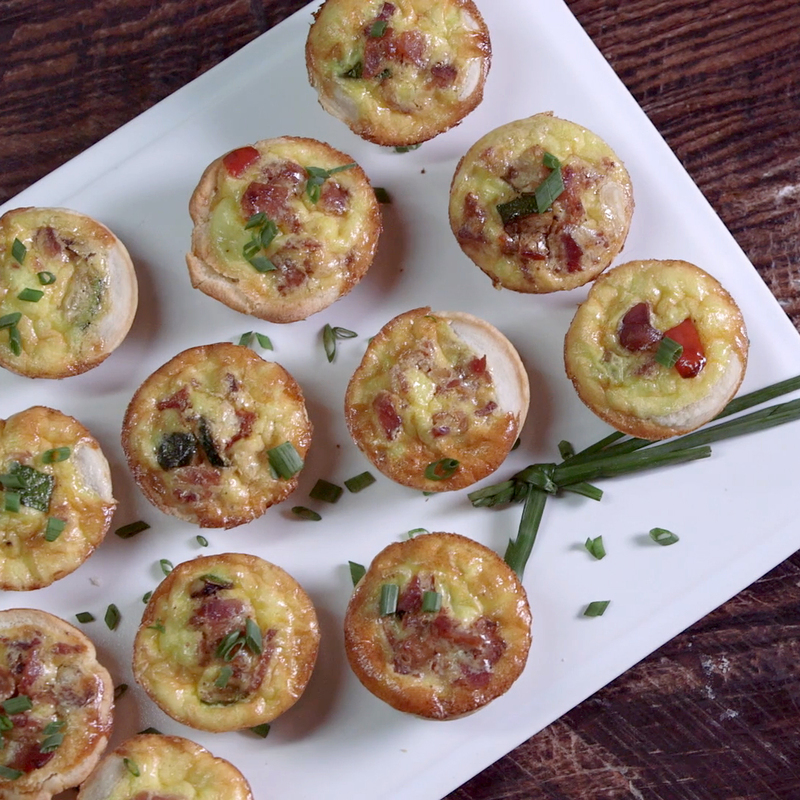 As their name suggests, tapered French pins narrow off at the ends, an elegant design feature that's not only aesthetically pleasing but also makes them easy to maneuver and pivot when rolling pie dough into neat rounds or working a delicate pastry. "Using a tapered pin gives me a heck of a lot of control rolling out pies, and helps my edges," said McDermott. "It's just a great tool, especially as you gain confidence with it." The slender silhouette also creates a sense of intimacy in the rolling process. Or, as Joanne Chang (who prefers tapered pins) explained to us, "I like the way a slender pin lets you feel the thickness of the dough because you are so close to it." Most wooden rolling pins are made from hardwoods like maple, cherry, or walnut. (Our top picks for performance and value were all maple—which tends to be the least expensive of the bunch.) The marketplace is also increasingly full of specialty, handmade pins crafted from unusual or luxury woods. Should you fall in love with the looks of one, or if you lucky enough to be gifted one, just make sure it’s as functional as it is eye-catching. Kate McDermott told this cautionary tale: "Occasionally I am given a pin that’s made from rosewood or something else absolutely beautiful—but is virtually unusable because someone put a finish on the outside that makes it impossible to roll the dough." The takeaway? Make sure whatever pin you are using is unfinished, or at least can hold a dusting of flour and have the grip to actually roll. 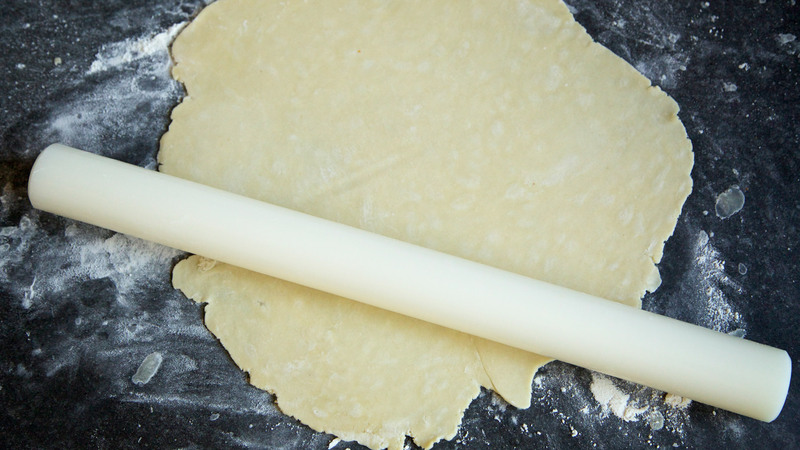 In the end, the most important factor in a good rolling pin is what is most comfortable for you, the roller. To clean and care for a wooden rolling pin, remove any excess dough from the roller with the dull edge of a knife or a bench scraper, then give the pin quick rinse in warm water and a very thorough drying. Never, ever, let it sit out wet. Finish with a quick coat of neutral oil to seal it up, keep the wood supple and prevent cracking and drying. Properly handled, a solid wooden rolling pin will darken and patina beautifully, and last decades. Using the recommendations of our expert panel as a guide, as well as rankings and reviews on Amazon (with a few wildcard options thrown in for good measure) we went into the kitchen with a lineup of six rolling pins of various styles and materials—handled, tapered, and dowel, solid wood, aluminum, and nylon—and then whittled that list down to three winners that we felt represented the best value in terms of design, ease of use, performance and cost. To put the contenders through their paces, we took notes comparing the results when working with many, many, many batches of two of the most common types of rolled dough: Food & Wine's all-butter pie dough (for flaky, delicate, double-crust pies) as well as our sugar cookie dough (for classic, buttery rolled and cut cookies). There are no bells and whistles here: just a wonderfully simple, attractive, well-crafted made-in-America maple dowel that performs admirably over a range of baking tasks and has the elemental design and sturdy heft to serve you through a lifetime of kitchen work. 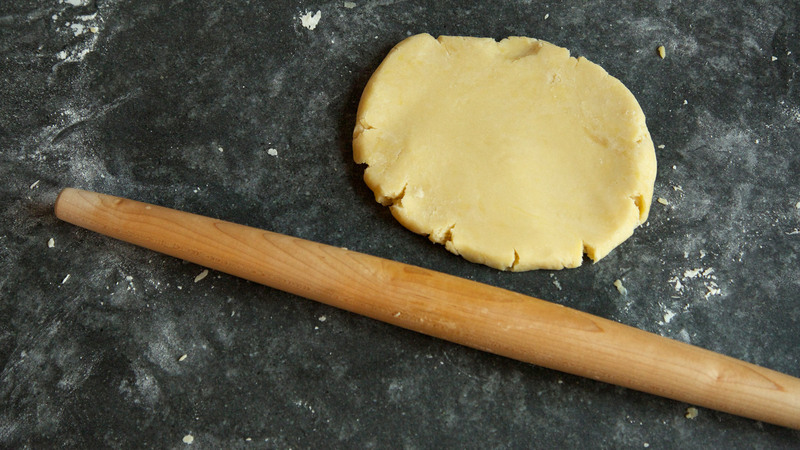 Weighing in at a substantial 1.6 lbs and stretching to a generous 19 inches, this rolling pin made tackling large slabs of cookie dough a cinch, rolling and rerolling cleanly, and maintaining an even thickness without straining our arms or requiring fussing and overwork. Its unfinished, matte surface held a dusting of flour well, fending off any issues with stickiness and tearing, and its simple shape meant that it could be easily fitted with generic spacers that allow you to roll dough to a precise and even thickness. Widely available and priced at a point that feels accessible even at the most entry level baker, this pin seemed like an incredible value—performance that is reinforced by dozens of glowing Amazon reviews in which users call it "one of the best kitchenware purchases ever" and report that it's "still going strong after 20 years." While it lacked some of the agility of the tapered pins when finessing pie crusts and shaping round edges, it still managed the job ably and, in fact, produced evenly flattened crusts even more consistently. For all around performance, sturdiness, and bang for your buck, we think you'd be hard pressed to do any better. 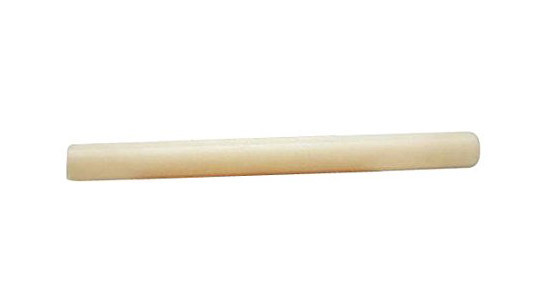 This French-made dowel-style pin, crafted from cream-colored nylon, is the personal favorite of baking doyenne Dorie Greenspan—and after a couple of days in the kitchen with it, we could see why. Heavy but not oppressively so, with a wonderful balance in the hand, it made rolling sugar cookie dough a delight, producing even sheets every time, and tackled discs of buttery pie dough without tearing or sticking. Like the JK Adams dowel, the simple silhouette was adaptable to generic spacers and the nylon surface felt cool to the touch and cleaned up easily. Another bonus: Because nylon is non-porous, unlike wood, this pin would be even more adaptable to other (potentially messy) kitchen tasks that require the blunt force of something weighty, like pounding meat or crushing nuts or spices, without worry of staining or contamination. Last but not least, as Greenspan says, "it's pretty darn handsome to boot." Ultimately, our major reservations with this pin came down to price: at more than $75 it's no small investment and given the cost, doesn't offer 4 times the performance of the JK Adams pin. That said, if you are looking to treat yourself or someone you love to a special kitchen tool, this is a keeper that will more than earn its keep by turning out decades worth of beautiful cookies, pies, tarts, and more. This tapered maple pin was beloved by a lot of the pro bakers we spoke with, and its simple lines and sleek finish are certainly appealing, especially when trying to work pastry into thin, delicate rounds. But ultimately, its lighter weight and more slender silhouette seems better suited to niche work with precise tasks and laminated doughs, whereas the dowel pins felt like all-purpose workhorses. Also, though the narrowed sides made for graceful pivoting when shaping the rounded edges of a double crust pie, we found them to be a hindrance rather than a help when trying to maintain an even thickness with sheets of cookie dough (not to mention that the tapered design eliminates the option of using spacers). That said, if you make a lot of pies, it might be worth giving this option a chance—or, if you're a committed baker, getting both a tapered pin and the JK Adams dowel. At $18 a pop, it's not too dear an investment. 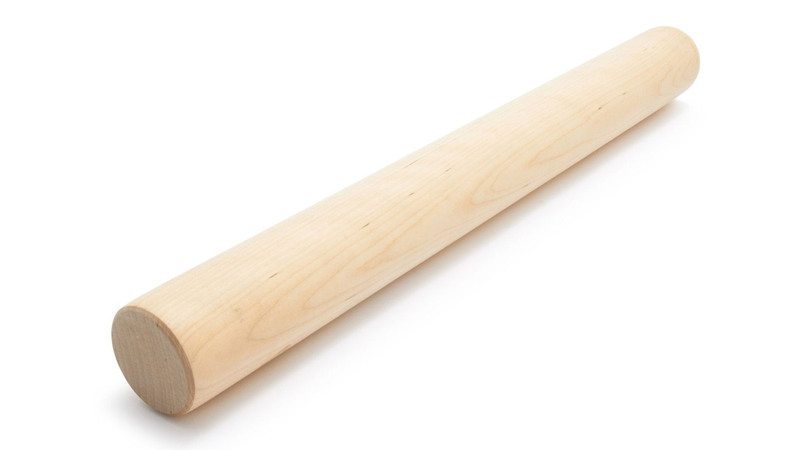 Imagine the iconic rolling pin and it probably looks like this. Crafted from solid wood, it is simple, sturdy, and a total bargain at about $6—and for a basic rolling pin, you could do a lot worse. But, if you can afford to spend another $9, the JK Adams dowel is easier to control, easier to clean, and definiitely a better long term investment. This pin is stylish and comfortable, but ultimately felt a little too light in our hands. Also, though a chilled alumnium pin will keep delicate dough cool longer, once it begins to heat up it will do so faster than wooden pin—making rerolling dough a trickier proposition. Our least favorite of all the rolling pins we tried, this contender lost points for its clunky, hard-to-clean handles, underwhelming performance (uneven rolling, and it didn't seem especially nonstick), and a slew of alarming Amazon reviews which reported that it became waterlogged after washing and that the "nonstick" surface began to chip and peel after one or two uses.